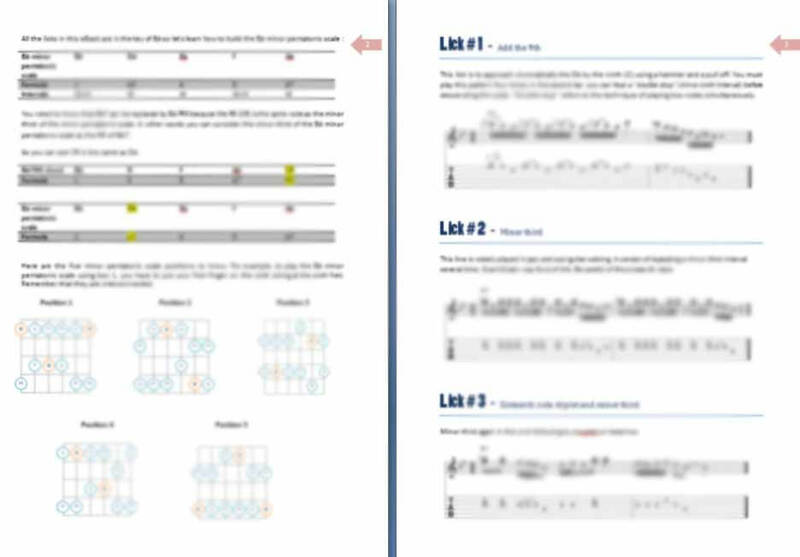 This printable PDF eBook contains 25 soul jazz guitar licks with tabs, analysis & audio files. (Backing track included). Soul jazz is a form of jazz commonly associated with hard bop. It has strong influences from blues, rhythm & blues and gospel. All the licks in this book are based on pentatonics and minor blues scale, inspired by guitarists as Grant Green, Melvin sparks, Wes Montgomery or Kenny Burrell. To simplify learning, all these licks are two-bars licks in the key of Bb7 using the minor pentatonic, major pentatonic and minor blues scales. - 1 printable PDF eBook with 25 soul jazz guitar licks with standard notation, tabs, scales charts, guitar fretboard diagrams (5 boxes for each scales) and analysis. - 1 soul-jazz backing track (Quality mp3 audio file). 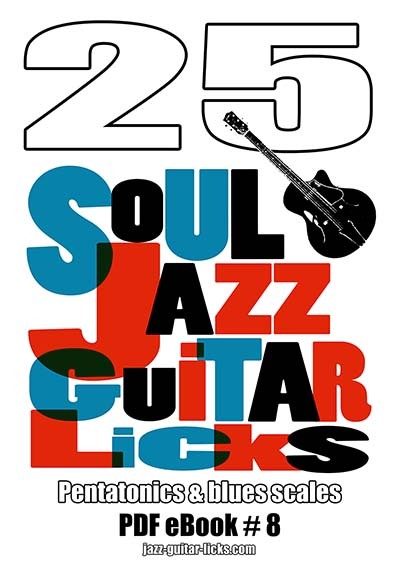 - 25 soul jazz guitar licks audio files (Quality mp3 audio files).